Why is there no Moon Landing Day? Today, 46 years ago, three human beings landed on the Moon… the only celestial body besides the Earth to ever have humans touch it. 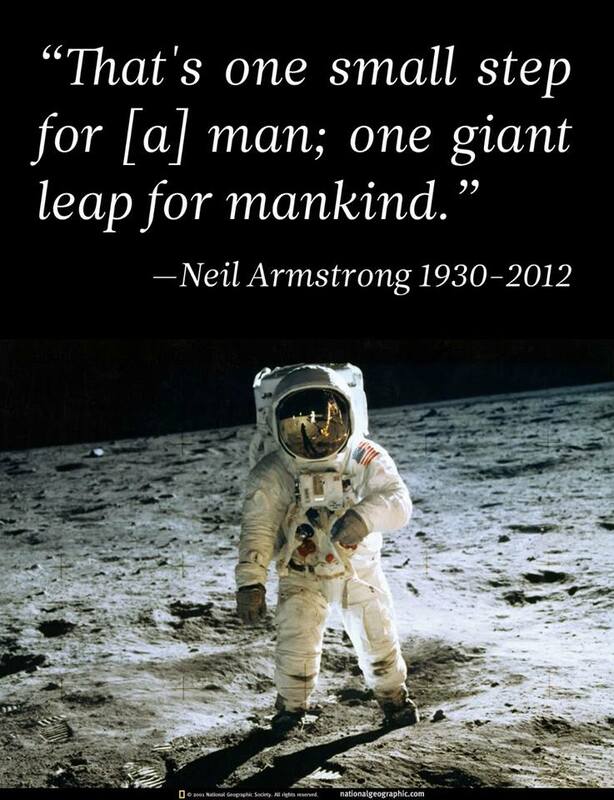 The Apollo 11 Moon landing represents possibly the single most amazing feat ever accomplished by Mankind, a triumph of our mastery of science, physics and engineering. So why aren’t we celebrating it? I mean, we’ve given a day to a man who tried to reach India, landed in the Caribbean, and touched off the greatest era of land invasion and human genocide since Atilla the Hun. We celebrate days invented by greeting card companies and chocolate manufacturers. We celebrate a religious figure whose mythology has become one of the greatest uniting and dividing forces of humanity. And we can’t celebrate a feat accomplished in the one area where humans excel above all the other animals of this planet? We should all have today off. Humanity should be taking this day off. There should be parades. Every year. Engineers and physicists should be honored on this day. Employees of NASA should be revered on this day. Every world leader should speak to this day. We’re not doing any of that. I only just discovered Charles Darwin has been given a day, February 12th, to honor his accomplishments in science and his status as a source of inspiration to the world. We have honored other men and women of science for their accomplishments. These are the accomplishments that set us apart from every biological creature on Earth… and no one seems to care overmuch. They’d much rather celebrate failed explorers, football players and bon-bons. It’s no wonder that we went to the Moon 46 years ago… and haven’t been back in so long. It’s no wonder that we continue to fight over meaningless boundaries and artificial limitations, instead of working together to make our planet, our only place of habitation, better. It’s no wonder that, when we are faced with difficult problems that can be fixed with honest effort, we’d rather ignore our problems and watch escapist movies about superheroes and wizards. We have turned our collective backs against science. The fact that we’re not celebrating the crap out of this day is proof of it. Previous Previous post: Robots attacking humans: Okay, here’s the thing.